Welcome and thank you for visiting D'Heritage Marketing & Distributions Beyh Royale website. As the brewer and inheritor of this rich and exquisite traditional beverage, we invite you to join us and discover the heritage of Beyh Royale. BEYH ROYALE is manufactured by D Heritage Beverages Industries. Any distribution without authorisation by D Heritage Marketing & Distributions is strictly prohibited. Beyh Royale is available at all Forest Secret and Gloria Jeans outlet in Malaysia and our marketing office at No. 25 Jalan Undan 16, 81200 Johor Bahru, JOHOR, MALAYSIA. 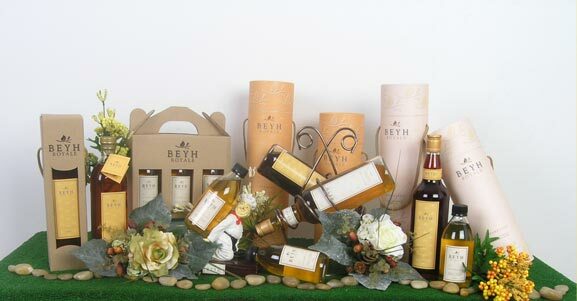 Beyh Royale Gift, consists of Cordial, Sparkling, Cakes, Cookies, Chocolate and Dates are available, ranging from RM112.00. Enquiries to be the State Distributor are welcomed. For more information, please feel free to call us at +6 07-241 7881 or 012-786 8806.